Australia - the country responsible for some of the most charismatic and fascinating animals in the world! 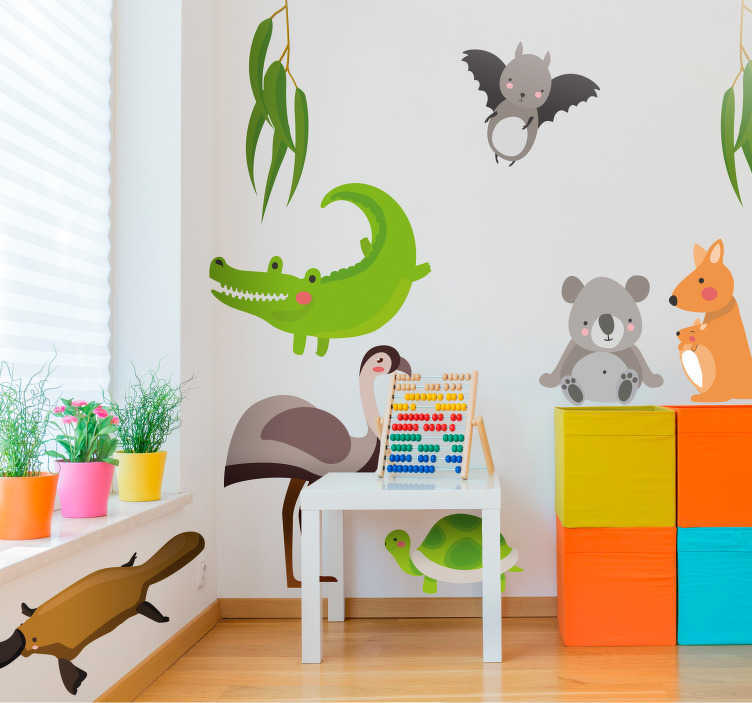 From the honey badger, to the koala, to the kangaroo - They have given us so much; and that is why we at Tenstickers have created this fantastic animal wall sticker; depicting all of the most famous Australian animals in the world! Ideal bedroom decor for those children who love animals, but, in truth, it would look great anywhere! The stickers come on a sheet so that they can be applied as you wish! The size listed refers to the size of the sheet - Stickers arranged as shown in second image.